The D.C. region's dogs want for little, between doggy spa days and organic, artisan dog food. Now, if they've had a few too many truffle mac-n-cheese treats, there's a place they can go to get in shape. Frolick Dogs, located in a warehouse building on Colvin Street in Alexandria, is the brainchild of Kevin and Kim Gilliam, a husbanda-and-wife team who bonded over dogs and decided to turn it into a business. Kevin had pursued his passion for dogs through dog training, working for years at the Olde Towne School for Dogs. When Kim, who has an MBA from Cornell and had worked in marketing and communications for various associations over the years, wanted to start a business, it seemed like a natural fit, she said. The business’ startup costs were about $100,000, some of which came from a small business loan from EagleBank. 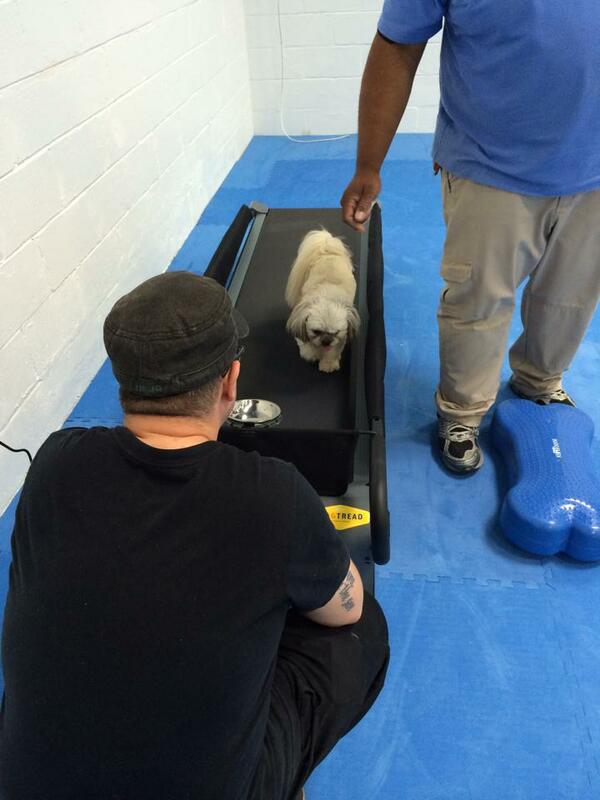 The equipment is regulation size, for those who are actually training their dogs for agility competitions. But it can also be useful for first-time dog owners just looking for a different way to exercise their pet. There are also treadmills, stability peanuts — an oblong rubber object that’s the dog equivalent of stability balls — and balance platforms. “It’s amazing how quickly you can tire your dog out when you’re challenging them physically and mentally,” Gilliam said.